Join the new monthly program at Lake Pleasant. Designed to serve as sailing education for women in a social setting, we will address a wide variety of subjects tailored to the group. 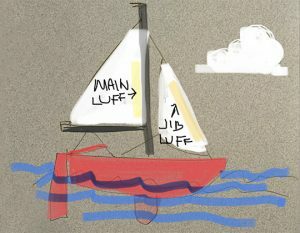 (We want you to tell us what you want to learn about sailing!) You must sign up at the National Women’s Sailing Association site monthly to assure your spot. Learn about the boat, how things work, basic crew duties and steps to take before leaving the dock. Attendees should bring a life jacket (we have a few loaners) and dress for sailing with non-skid, non-marking, closed toed shoes. Understanding navigation rules is essential knowledge for all sailors. We will learn the basics then open the book to see the more complex. What’s in Your Sailing Purse? Things to bring, their purpose and use and things to leave home or in your vehicle. We will learn about sailing things, socialize and enjoy refreshments courtesy of Tumbleweed Sailing. April’s Meeting – Full of Questions! 2019-2020 Season Calendar – Winter is Coming!